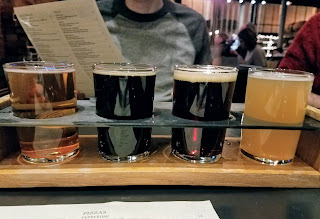 I waited three weeks to write this post, because like with Cheese Fest, I needed time to reflect on the experience so that I could give accurate feedback about our time at the Cleveland Chocolate Fest. We've attended both large and small events hosted by Taste CLE and have always loved their smaller wine dinners, but Cheese Fest had been a little bit of a logistical mess in August. 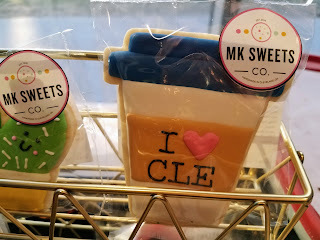 I noticed the Cleveland Chocolate Fest was also at the Lago events space, but unlike at Cheese Fest everything was indoors for this event due to the weather being colder (it would have been lovely if we could have enjoyed the patio/lawn space though).